As I’ve mentioned before, we added a covered area to our patio last year and we are in the process of setting up an “outdoor room”. We had hoped to include a fireplace with a natural gas line, but other things ran over the budget, so unfortunately that had to go. Living on the West Coast means a rather short summer, so we try to soak in every last minute and we can extend the season by including a fire table to give some heat. I’ve been looking for a fire pit table. 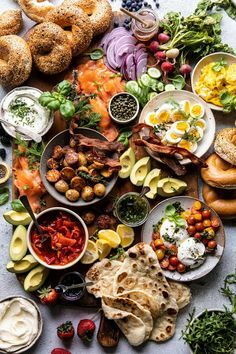 I like the idea of being about to gather around the table, have somewhere to put my coffee cup or even sit down for a casual meal and be around a fire! 1. 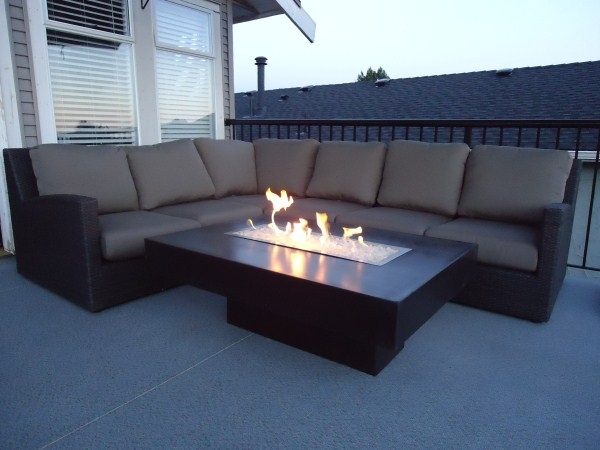 The first one is a square coffee table from Restoration Hardware, the Laguna Concrete Propane Fire Table. This table comes in propane and natural gas versions and is available in two colors. Prices start at $1,345 plus shipping and taxes. The one downside of this one is that in the propane version the tank is not concealed. But I do love that the glass contains the flame which is a much safer option for when young children are around. 2. I absolutely love the modern and clean lines of the Elevated Halo Table from Solus Decor. This fire table also is available in propane and natural gas models and it comes in two sizes, 36″ square or 48″ square. The Halo Table can be made in 12 different colors! Each fire pit table is hand cast and hand finished. 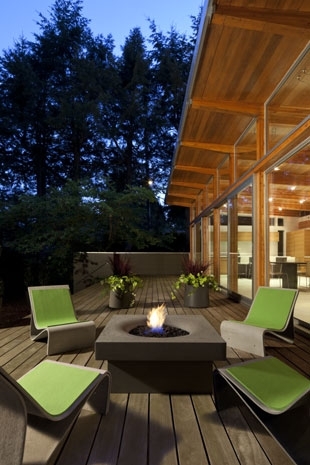 Prices do vary, but these are investment pieces built to withstand our North American winters. They do also sometimes have seconds available at discounted prices. 3. Springline Designs makes customized fire tables. Several of our friends have purchased tables from them and love them! These tables are made out of concrete. Prices are in the range of about $2,000. You can choose propane or natural gas and you can choose the color and texture. Our patio furniture sits quite low, so I like that I can be specific about the height. Who wouldn’t want to curl up on that couch by the fire?!? 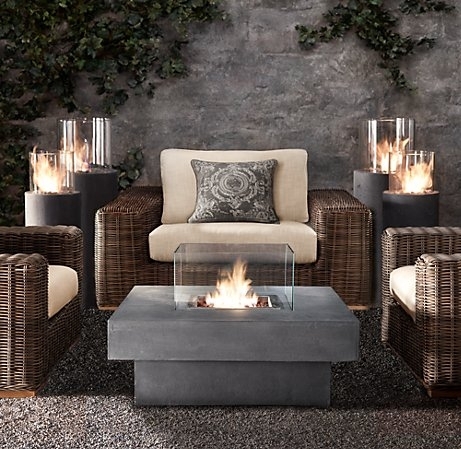 Regardless of which option I pick, a fire pit table is definitely an investment but it will prolong the use of our patio by several months each year. Also, many cities and municipalities have burning bans during the dry summer months so you can’t have camp fires, but the use of a fire table like these above is allowed (please check your local fire regulations). So now Jason and I will sit down and weigh out the costs and the designs….then it will be decision time! I’m looking forward to sitting on the patio hopefully many summer evenings with a cup of coffee and warmth from the fire!